Sigma has introduced the MC-21 mount converter for mirrorless L-mount bodies, at the time of writing that includes the Leica SL/TL and new Panasonic S1 and S1R. 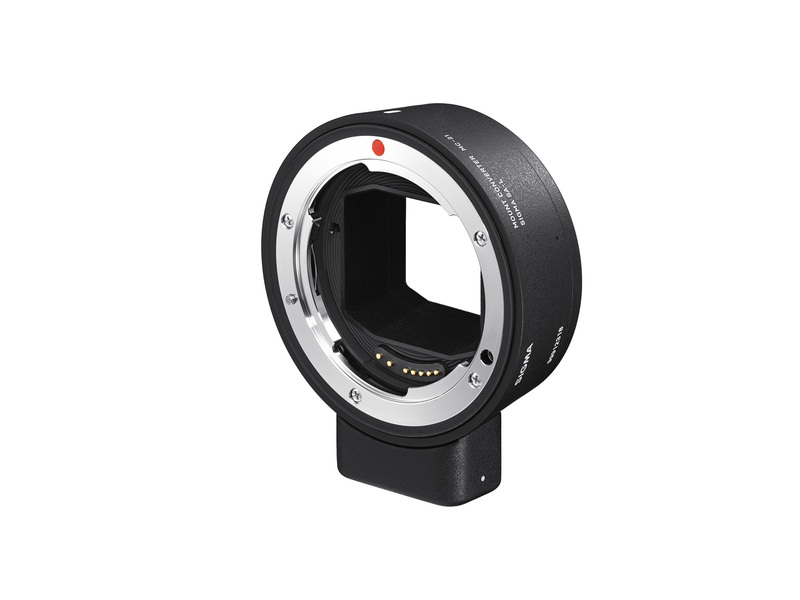 There are two versions of the converter, the £249.99 EF-L allows Canon EF mount lenses, including Sigma lenses with EF mount to attach to L mount bodies. Priced at just £99, the SA-L version allows Sigma lenses with the SA mount to fit to the same bodies. Sigma has confirmed the new converter has compatibility with 29 Sigma full-frame and APS-C lenses with the latter automatically enabling the auto-crop feature on full-frame bodies. Other models are not guaranteed as being fully compatible. Lens correction profiles and autofocus and aperture control data are all stored for Sigma lenses but it’s unlikely that the data will be usable with Canon lenses. An onboard LED confirms compatibility of the mounted lens and it’s also used to notify the user when a firmware update is required for older lenses. At the time of writing, it’s not clear how the LED is powered, however Sigma UK has confirmed that the tripod foot has no electronics and that it is removable by undoing two hex screws. Both versions of the MC-21 will be available by the end of April 2019. This is a shrewd move by Sigma as although the company has announced 11 Art series primes with a native L-mount, the introduction of a EF converter allows any existing Canon users with Sigma lenses to switch relatively pain free to an L-mount body. 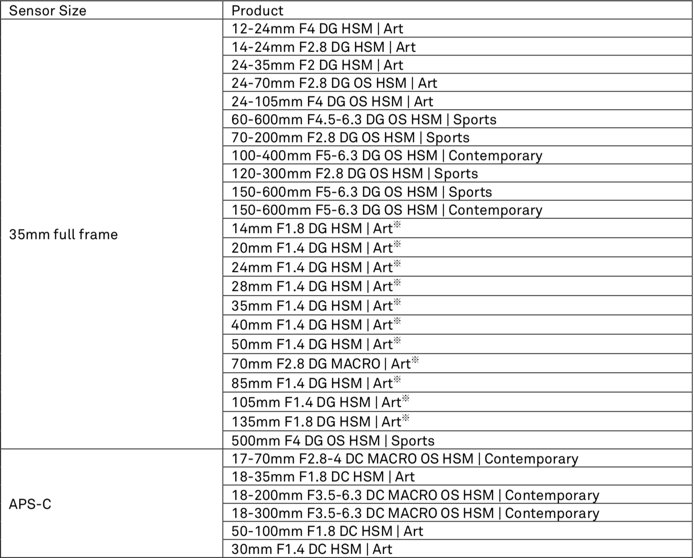 Although they don’t say so in their press release, a large number of Canon EF lenses will also be compatible and this will not be overlooked by any potential switchers. Sony, Canon and Nikon have mount converters to make the take up of their new mirrorless models more convenient so the idea of using a converter is more or less commonplace. Although principally stills cameras, the Leica SL is well-equipped for video capture and the as yet untested Panasonic S1 is highly promising. This is likely to confound Canon DSLR users not already invested in the excellent but pricey EOS-1DX Mk II, the replacement for the filmmaker’s DSLR of choice, the EOS-1Dc. While most if not all the big-name review sites have concentrated on the stills side of the new Nikon Z series, the system is highly video centric, much more so than Canon’s hugely likeable RF system, to date at least. Part of this is to prevent competing with their own DSLRs but with them (Nikon), Sony, Leica and Panasonic all offering highly competent video Canon will have to respond. ※ The MC-21 is not necessary for native L-Mount lenses. ・Cannot be used in combination with teleconverter. ・Operations using other non-compatible lenses are not guaranteed. Fast and accurate auto focusHigh precision AF photography in AF-S mode is achieved. * Not compatible with AF-C mode. Equipped with a socket for attaching the tripod※. Lenses not equipped with a tripod socket can be used by mounting the tripod to the MC-21.※ The tool supplied makes attaching/detaching possible. ●The inside surface of the barrel is covered with flocking to eliminate internal reflections.